The Nerf Super Soaker Rebelle Dolphina Bow Blaster is a pump action water blaster under the Nerf Rebelle line aimed at females. 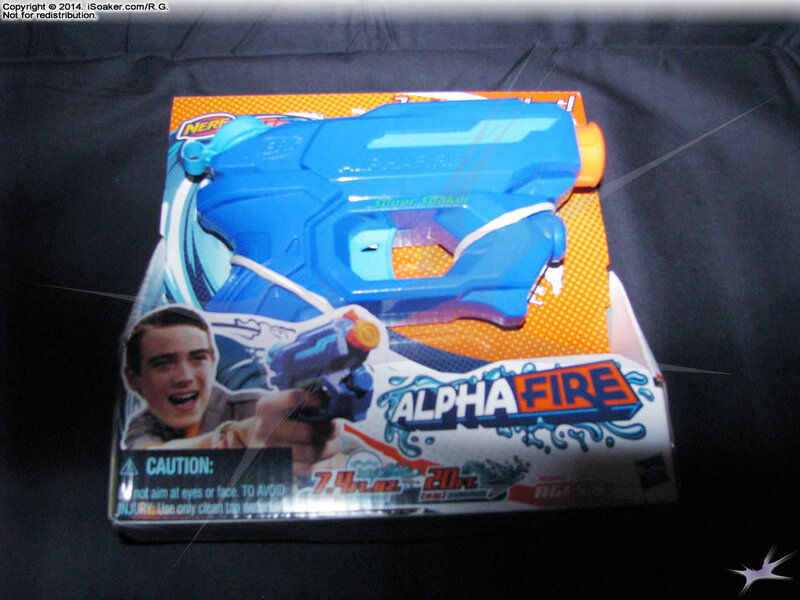 As readily seen, this blaster has bow-type aesthetics, though lacking any sort of mock bowstring.making it more akin to the Nerf Super Soaker Arctic Shock and Nerf Super Soaker Shotwave. 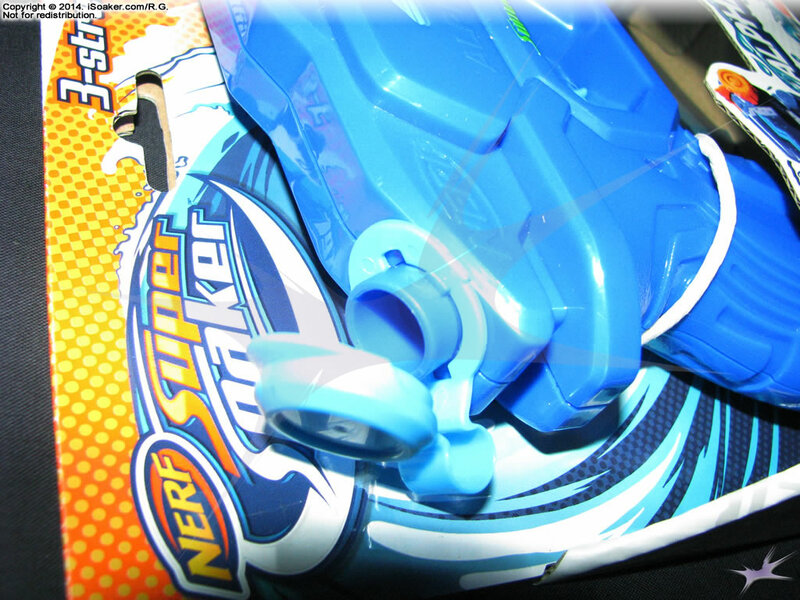 This is, of course, the second archery-themed water blaster in the 2014 Nerf Super Soaker line, the other being the Nerf Super Soaker Tri-Strike Crossbow. 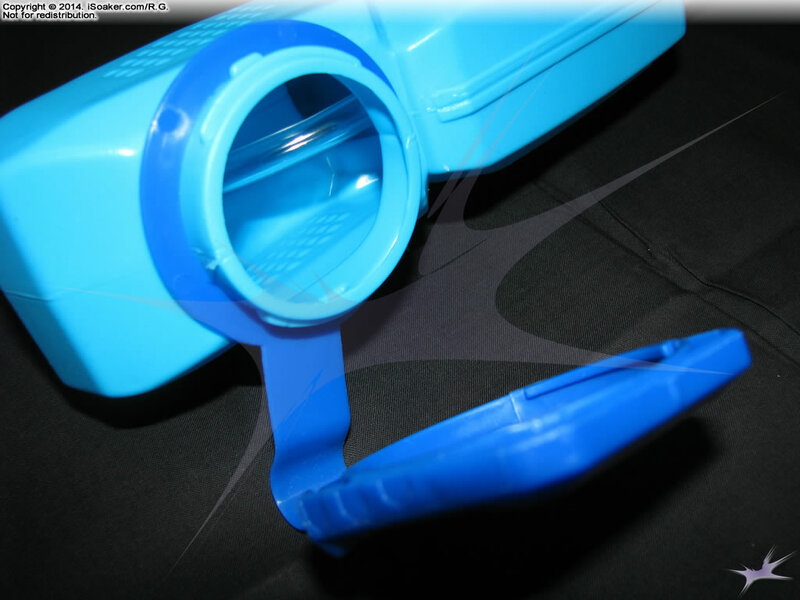 The Nerf Super Soaker Rebelle Dolphina Bow Blaster features a single nozzle at the part of the bow configuration where the arrow would be. 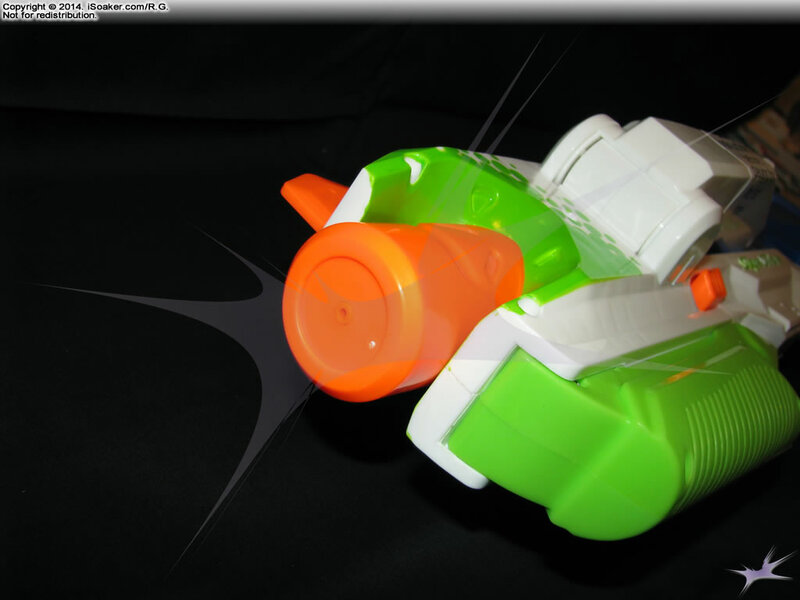 Unlike the Nerf Super Soaker Tri-Strike Crossbow, there are no additional nozzles on the arms of the bow. 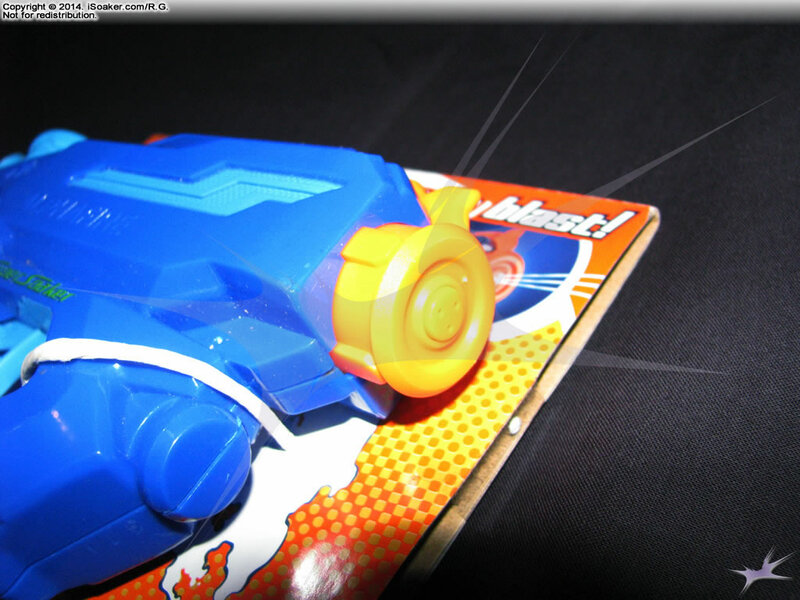 The stream produced by the nozzle feels decently thick, but has an even shorter duration than the Nerf Super Soaker Tri-Strike Crossbow. 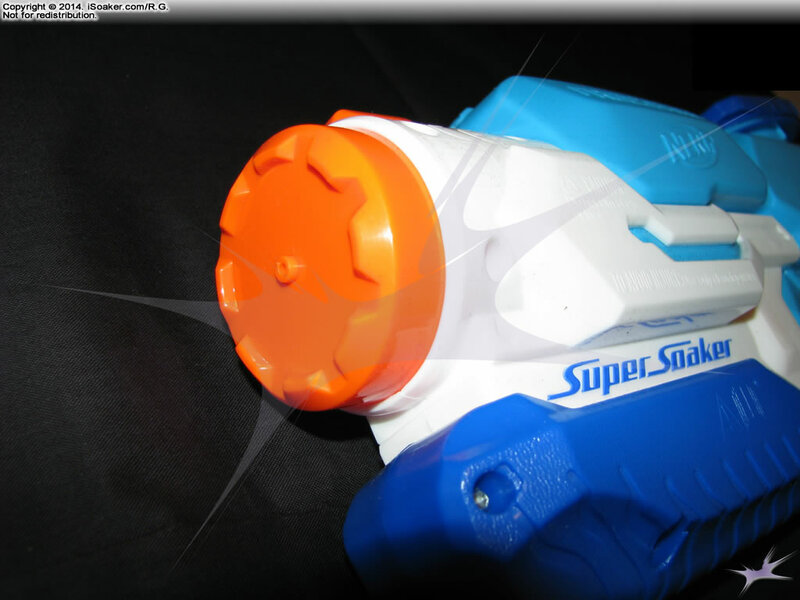 While the Nerf Super Soaker Rebelle Dolphina Bow Blaster is a pump-action water blaster, the pump is oddly set-up in a reverse manner compared to most other pump-action water blaster pumps. 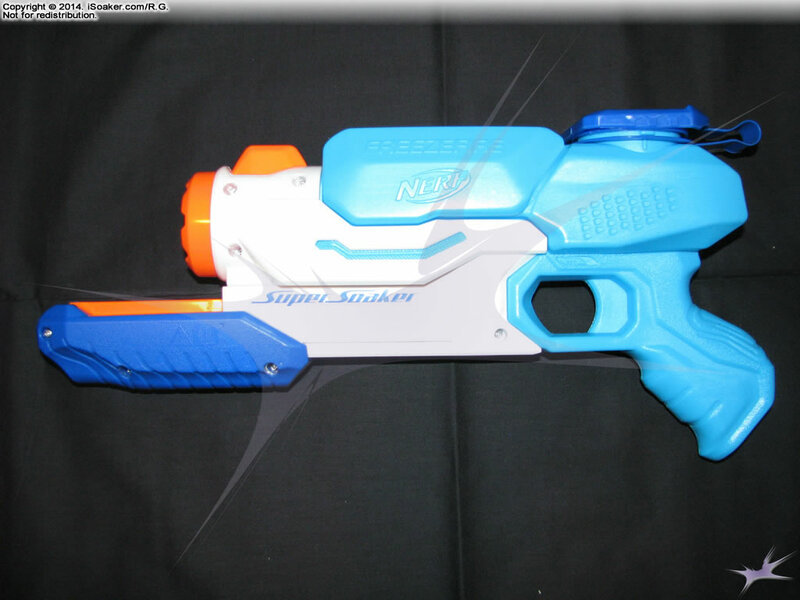 That is, instead of making this water blaster shoot when the pump is squeezed to the body, the Nerf Super Soaker Rebelle Dolphina Bow Blaster shoot as the pump rod is extended from the body (e.g. when one would theoretically be drawing the bow). It is unclear why this arrangement was chosen, but it does make the operation of this water blaster slightly less intuitive for regular water blaster users. Moreover, since stream force is determined by how hard one pumps, this means that a user will be pulling as hard as one can to extend the pump, causing increased strain on the pump-rod stop. Whether this added strain may result in eventual damage to the pump assembly is unclear. 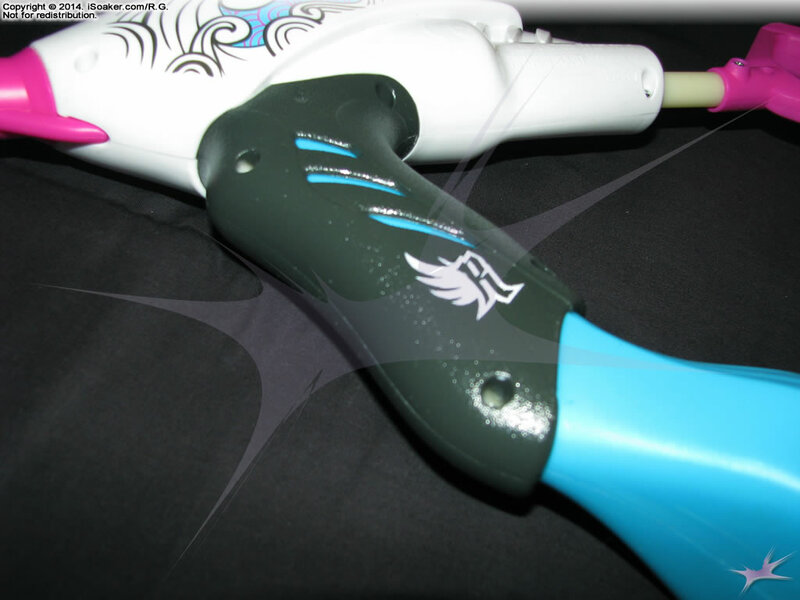 Being pump-action, the triggerless grip area is on the lower part of the water blaster where one would naturally hold it were this a real bow. 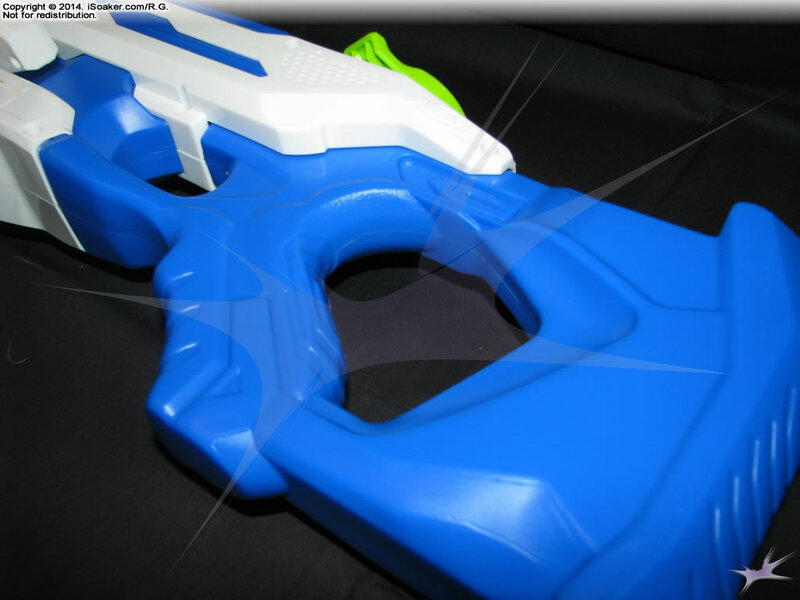 Like the rest of the other current Nerf Super Soaker models, it is well moulded and quite comfortable to hold. 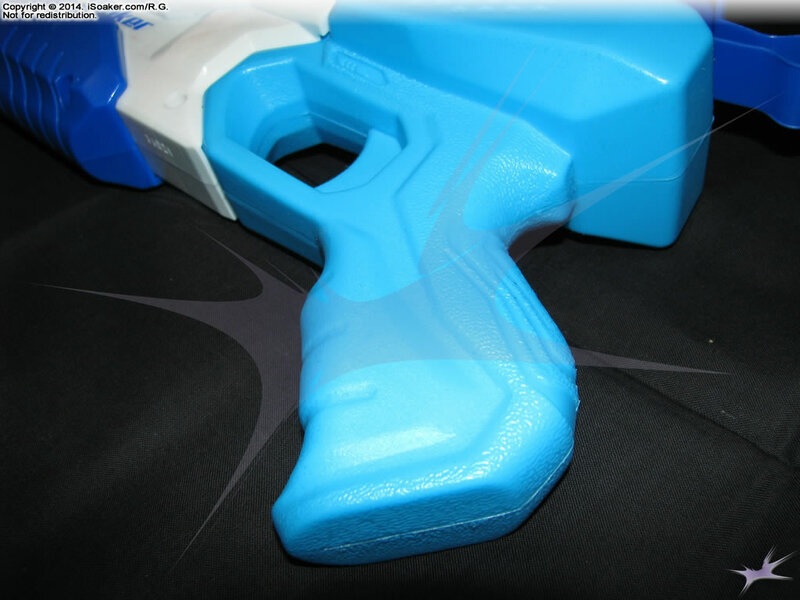 The grip is actually a layered piece of plastic and has a slightly better feel to the plastic than the reservoir-moulded grips as seen on the Nerf Super Soaker Tri-Strike Crossbow. 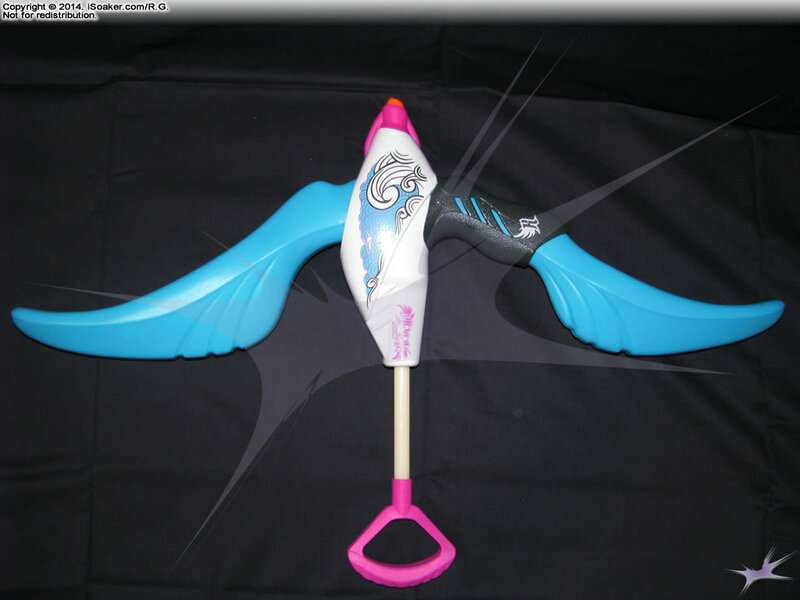 The Nerf Super Soaker Rebelle Dolphina Bow Blaster's reservoir is composed of both of the arms of the bow. As the width of the bow varies and is a longer shape, water tends to slosh around more easily when trying to fill it via the small, screw-based reservoir cap. One must be a little more weary not to splash when refilling this water blaster. 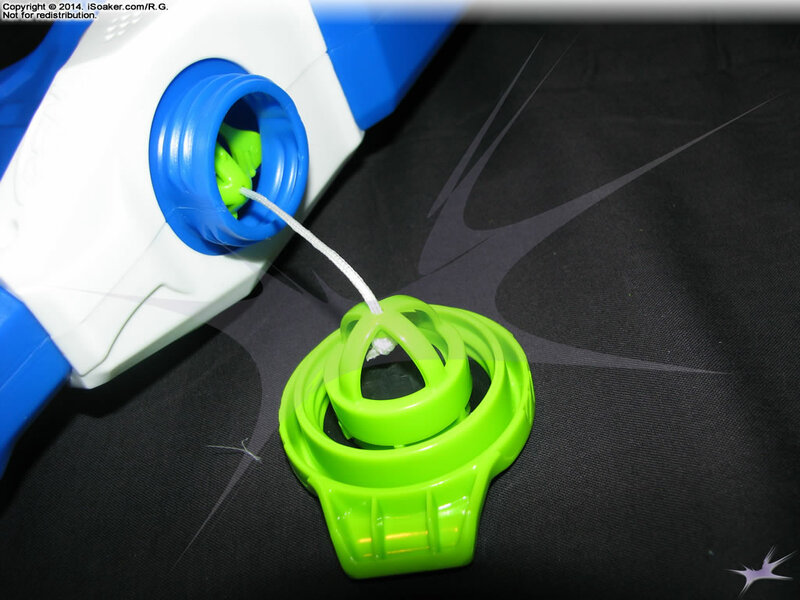 Its capacity is decent and it can make use of the majority of its contents since the reservoir tapers down to a small volume at the base where the intake tube stretches into. As water drains downwards, this water blaster remains decently balanced as it is emptied during use. As a whole, the Nerf Super Soaker Rebelle Dolphina Bow Blaster, besides having a rather long name, is an interesting bow-stlyed water blaster. Unlike the Nerf Super Soaker Tri-Strike Crossbow, it only features a single nozzle. It also has a reverse-configured pumping arrangement which makes aiming and stream generation less obvious. 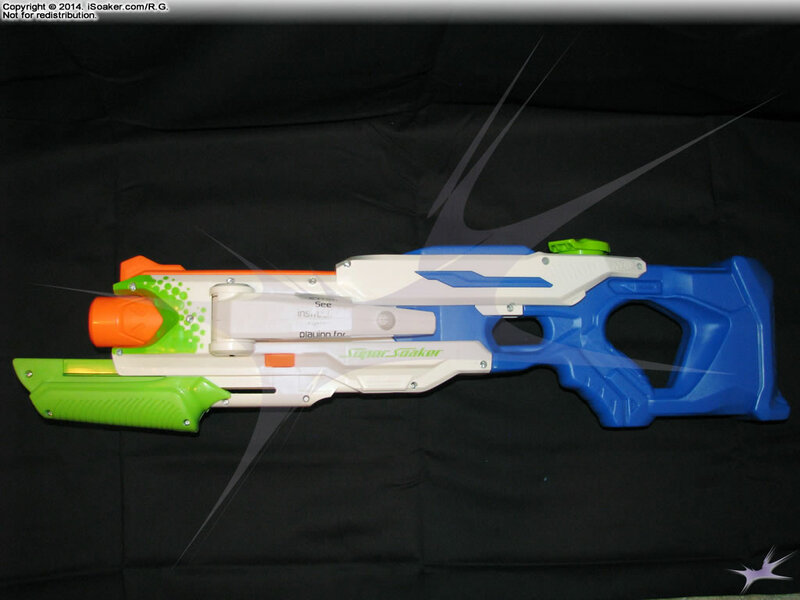 Perhaps intriguing to some who may want a bow-styled blaster, its reversed pumping action, exaggerated height, and limited output significantly limit this water blaster's usefulness in the field. 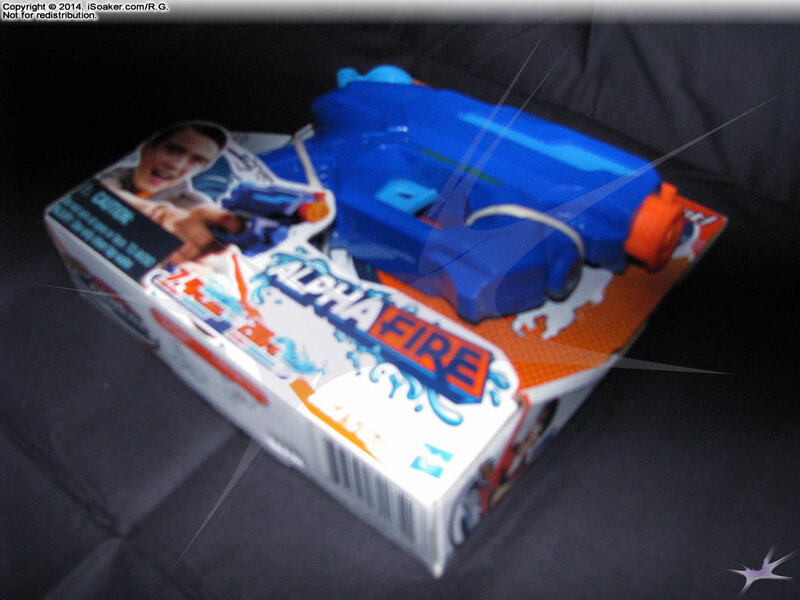 Best used for casual games, be wary if facing even other similarly sized pump-action water blasters and avoid going head-to-head with any truly pressurized water blaster. Pump-action reduces ability to aim while shooting. Pump suffers from some lag at higher pump rates. Secondary streams at the end of the crossbow arms offer no real advantage, provide non-significant output, and detract from the primary stream's performance. Low profile cap not as comfortable to open and close.